Consumption or handling of improperly processed or cooked pork is considered one of the top sources for foodborne salmonellosis, a common cause of intestinal disease worldwide. Asymptomatic carrier pigs may contaminate pork at slaughtering; therefore, pre-harvest reduction of Salmonella load can contribute to reduce public health risk. Multiple studies have evaluated the impact of vaccination on controlling Salmonella in swine farms, but results are highly variable due to the heterogeneity in vaccines and vaccination protocols. Here, we report the results of an inclusive systematic review and a meta-analysis of the peer-reviewed scientific literature to provide updated knowledge on the potential effectiveness of Salmonella vaccination. A total of 126 articles describing the use of Salmonella vaccines in swine were identified, of which 44 fulfilled the inclusion criteria. Most of the studies (36/44) used live vaccines, and S. Typhimurium and S. Choleraesuis were the predominant serotypes evaluated. Vaccine efficacy was most often measured through bacteriological isolation, and pooled estimates of vaccine efficacy were obtained as the difference in the percentage of positive animals when available. Attenuated and inactivated vaccines had similar efficacy [Risk Difference = − 26.8% (− 33.8, − 19.71) and − 29.5% (− 44.4, − 14.5), respectively]. No serotype effect was observed on the efficacy recorded for attenuated vaccines; however, a higher efficacy of inactivated vaccines against S. Choleraesuis was observed, though in a reduced sample. de la Cruz ML., Conrado I., Nault A., Perez A., Dominguez L. and Alvarez J..
Veterinary Medical Library. University of Minnesota (UMM). 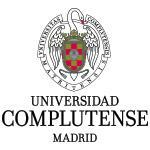 AUTHORS: de la Cruz ML., Conrado I., Nault A., Perez A., Dominguez L. and Alvarez J..